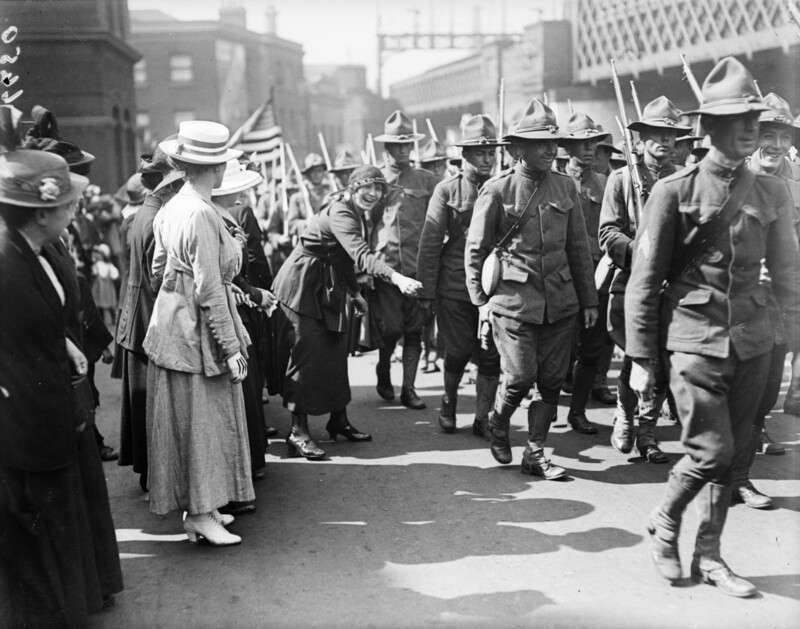 Today is not only Veterans Day, it is also the 100th anniversary of the end of World War I, when the armistice went into effect exactly a century ago, on November 11, 1918. After more than four years of bloody fighting, the Great War was finally over. 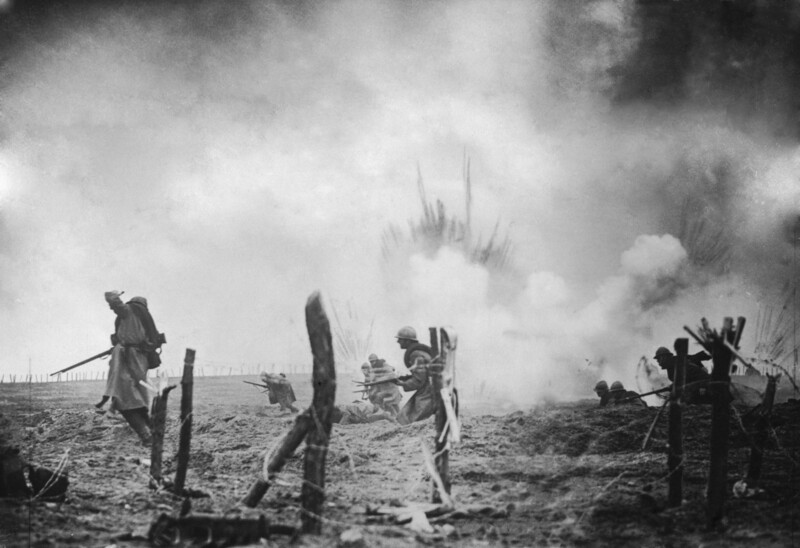 The standard view of World War I is that it is a testament to the futility of war. 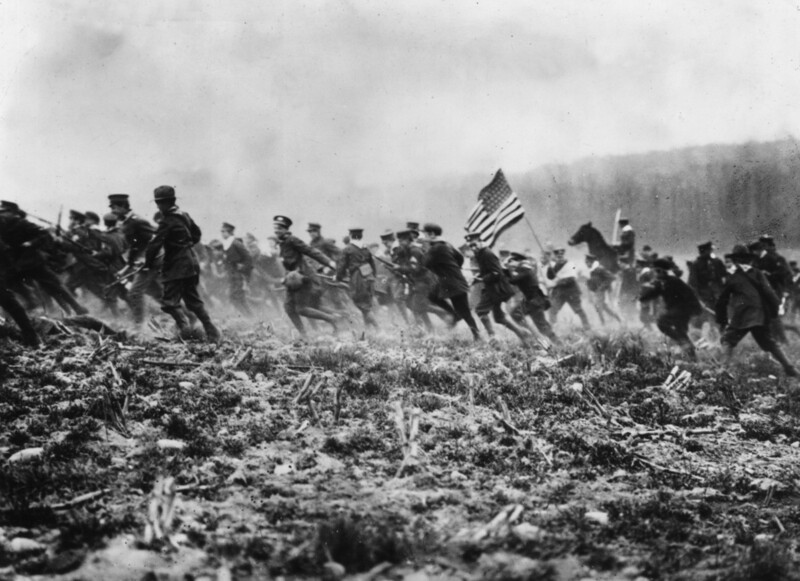 Yet maybe the better way to think of the war, which lasted from 1914 to 1918—including American participation in 1917-1918—is that if war comes, it’s better to win than to lose. 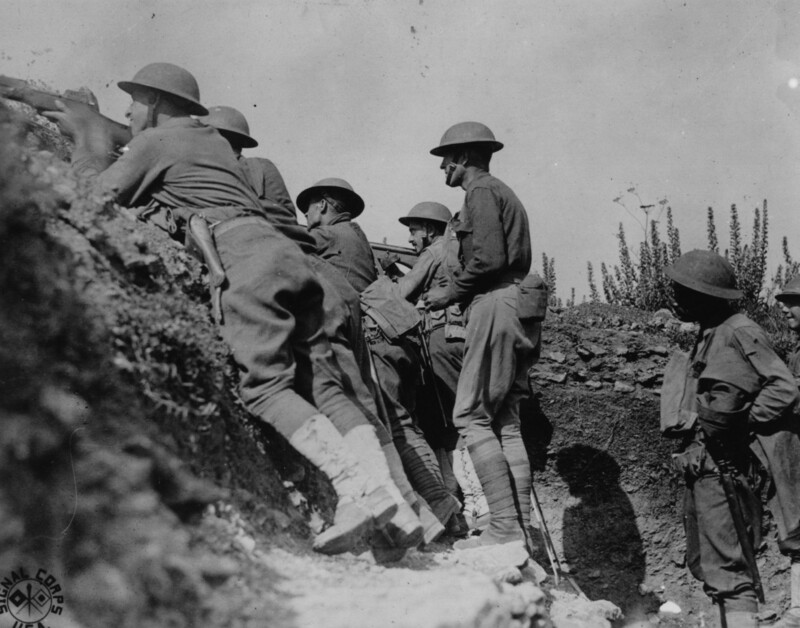 So while any war is a cause for somber reflection—and world leaders, including President Trump, are gathered in France this weekend to reflect on World War I—it’s perhaps even more important to learn enduring lessons of preparedness and strength. Still, we are left to wonder: If the war was “futile” and “unnecessary,” does that mean it would have made no difference if, for instance, the U.S. had not fought in it? Would it have been okay if the Kaiser’s Germany had won? And for that matter, what about France? That was the country that the German Army invaded in 1914, and, following the notorious Schlieffen Plan, the Germans stormed through a neutral country, Belgium, as part of their drive toward Paris. So what should the French have done, other than defend themselves? If one says that the French could have done a better job of planning and preparing for the war, that’s certainly true. But pacifism, in the face of a conqueror, is not a good option. Back then, the Germans had their Schlieffen Plan, which was a cynical violation of international law; attacking neutral countries is a no-no. For their part, the French had Plan XVII, which was the right idea, done the wrong way. Plan XVII was unwise because it attempted to convert the glorious idea of military bravery—attaque à outrance (attack to excess)—into a formal military doctrine. That is, the French war planners had convinced themselves that their brave soldiers could overcome the enemy through élan, and so that was all that was needed; the French would charge, bayonets fixed, and win with cold steel. Yes, French soldiers were plenty brave, but so, too—looking back to military history—were the American Confederates who launched Pickett’s Charge at Gettysburg in 1863, and they, too, failed. By the mid-19th century, the evolution of the needle gun had given rise to rapid-fire riflery, which meant that infantry and cavalry charges were both more costly and less likely to succeed. Moreover, advances in artillery were devastating, also, to mass formations. 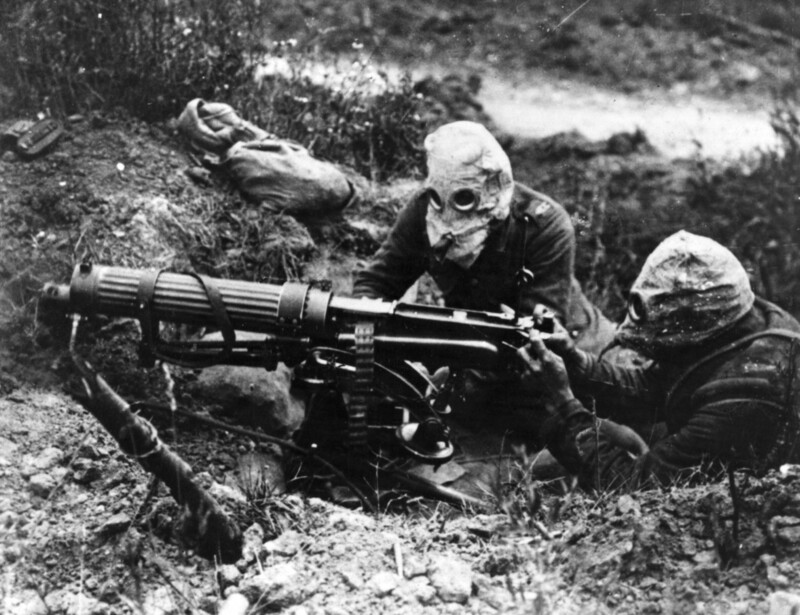 Finally, by the early 20th century, the machine gun was being deployed. Yet despite all these deadly technological innovations, generals were reluctant to give up on their old ways. They were no different from everyone else—we’re all creatures of habit. 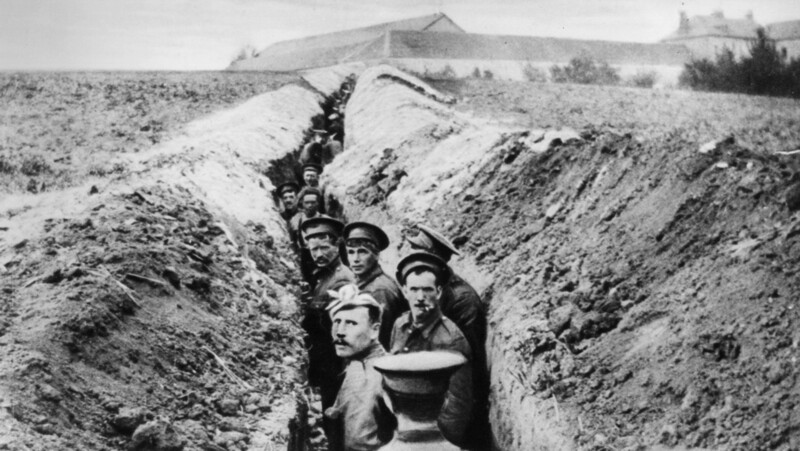 So during the opening weeks of the war, in August and September 1914, generals ordered charges just as they had done in battles for thousands of years; only now, the results were disastrously different. 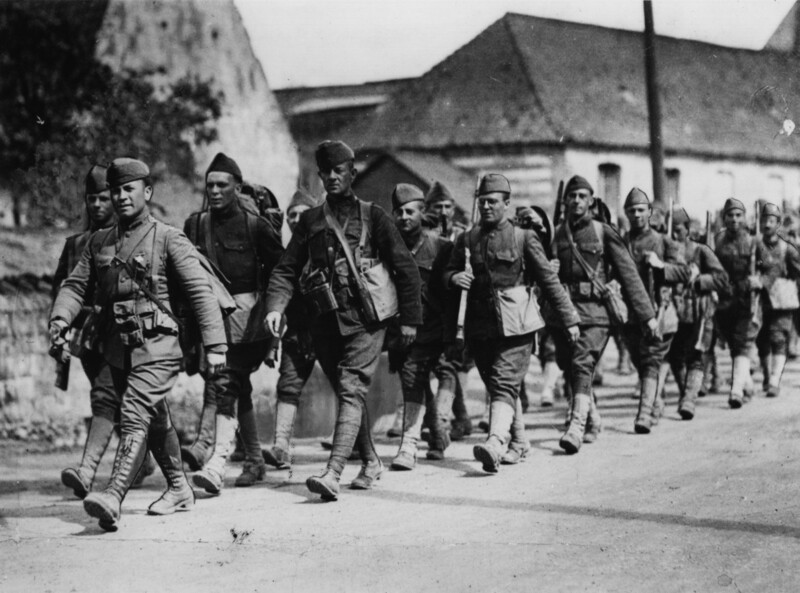 In particular, French soldiers, obedient to their Plan XVII, and wearing easy-to-see bright blue tunics and red pantaloons, went charging at the Germans—and the result, of course, was disaster. The overconfident French were decimated, and only a last-minute rally—the so-called Miracle of the Marne—stopped the Germans from capturing Paris. 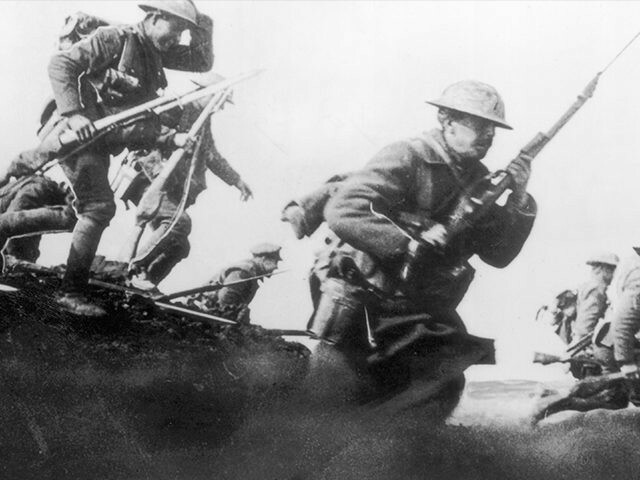 By now, mid-September 1914, all the combatants in the West—the French, British, and Belgians against the Germans—were beginning to comprehend that the nature of war had taken a decisive turn. The new ways of delivering firepower, combined with additional innovations such as barbed wire and echeloned entrenchment, made rapid offense difficult, if not impossible. Yet not every military leader got the message; during the war, millions of lives were lost as armies persisted with lethally ineffective frontal assaults. Still, in the years that followed, nations increasingly relied on their industrial power to supplement the blood-sacrifice of their soldiers. 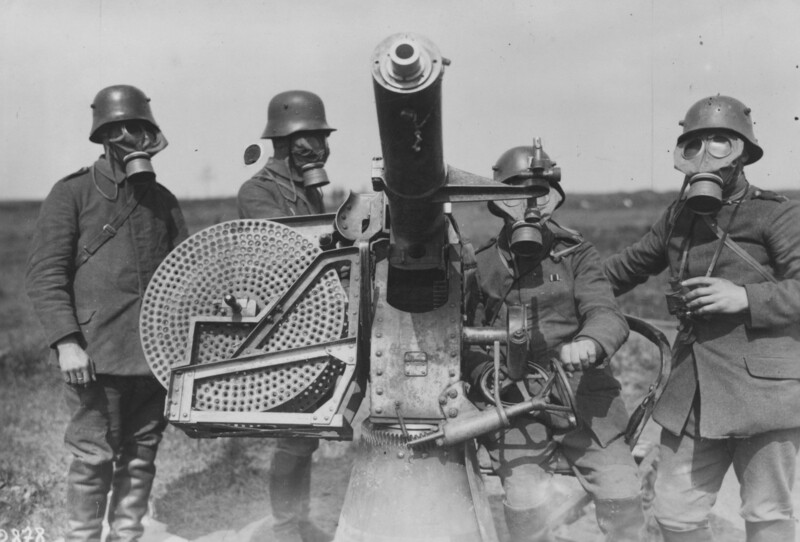 It’s estimated, for example, that from 1914 to 1918, the warring countries fired between 900 million and 1.2 billion artillery shells at each other. In the meantime, other technological advances were emerging from various nations’ military-industrial complexes, including the submarine, the flamethrower, and poison gas. Once again, the impact of these new weapons was to make it all the more obvious that the old ways of warfare were obsolete. Yet we can also observe that new killing machines did not make war “futile,” or “unnecessary,” for the simple reason that even if the technology of war had changed, the psychology of war had not. Some leaders and peoples still wanted to fight, for reasons ranging from injured honor to outright avarice. We can pause to observe that warlike sentiments have been painfully visible throughout human history; the wise have always known this. In the New Testament, the Apostle Paul lamented: “None is righteous … Their feet are swift to shed blood; in their paths are ruin and misery, and the way of peace they have not known.” Two thousand years later, it’s hard to say that anything much has changed. So we can see: If the world contains many lions, it’s not a good idea to be a lamb. The Roman military strategist Vegetius had it right in the fourth century: If you want peace, prepare for war. And so as we think about America’s role in World War I, we should rightly think of the heroes of that conflict, such as Alvin York, further immortalized in the 1941 film starring Gary Cooper. We should also think of the 116,516 Americans who gave their lives, including a Marine private, Foster Stevens, recently remembered in The Washington Post. Indeed, all those millions who served merit our attention and respect, including Oscar Rhoades of Wilkes County, North Carolina, who came home and lived another 70 years. Yet precisely because we remember past heroes, we should be thinking constantly about the safety of future heroes. 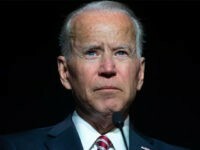 The first way to assure their safety, of course, is to avoid unnecessary wars, including wars of choice, but sometimes, inevitably, without any fault of our own, war will come. World War I was such a war. That conflict was so awful, in terms of carnage, that it is tempting to conclude, as many have, that it was “futile” and “unnecessary.” According to this popular line of thinking, the fighting was all a tragic misunderstanding, and so as a solution for the future, the thinking goes, let’s all have better understanding—let’s communicate more. Alas, while such thinking might be tempting, it is not correct. 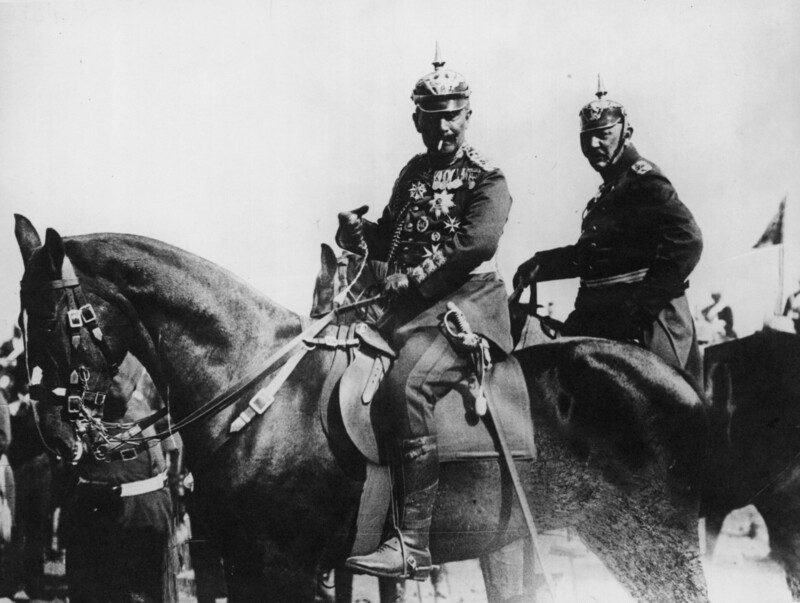 The truth is that Kaiser Wilhelm II of Germany understood full well that he was plunging Europe into war in 1914; he had his eyes wide open, and he welcomed the conflict, because he thought he could win. As we have seen, Germany happily trampled through neutral Belgium on its way to France; at least 123,000 Belgians died as a result. Indeed, Germany’s “September Plan” proved that the Kaiser and his aides had high hopes for seizing control of all of Europe. Thus he, more than anyone else, is responsible for 15 million deaths. It is also worth recalling that Germany’s imperial ambitions were not limited to Europe; Germany was interested, too, in fomenting war in North America—against the U.S.A. The so-called Zimmermann Telegram was sent by the German foreign secretary, Arthur Zimmermann, in January 1917 to the German ambassador to Mexico; the goal was to entice Mexico into declaring war on the United States. 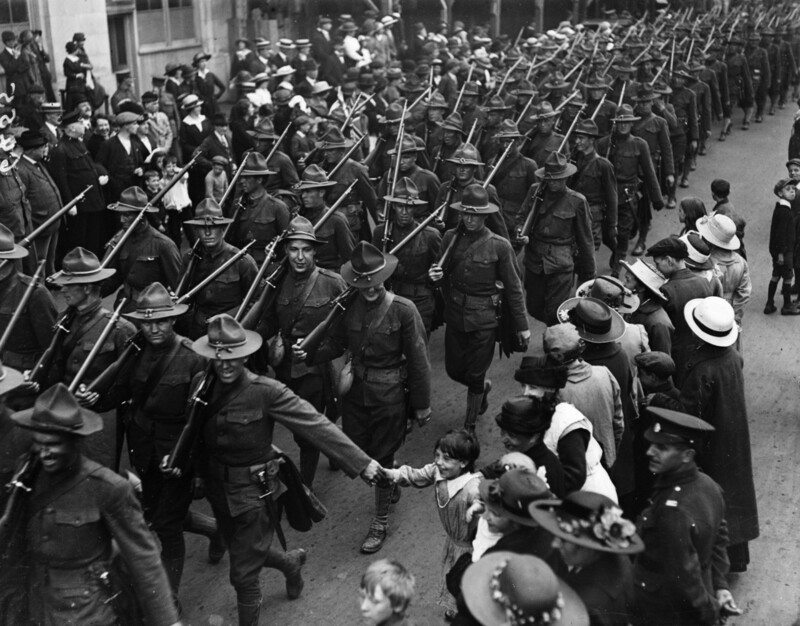 So we can see: America’s participation in what was then known as the Great War was inevitable. If we wished to remain a great and honorable power, we had no choice but to stand up to great and dishonorable threats. Yet not everything about the way we fought the war was great. Most obviously, we were militarily ill-prepared. 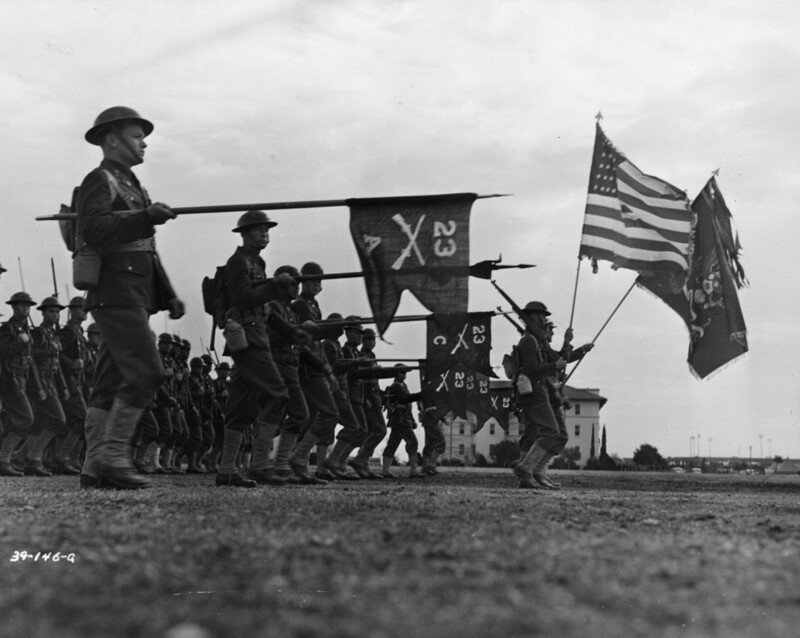 When the first units of the American Expeditionary Force reached the front in October 1917, our doughboys were ready to fight, but they lacked the new essentials of military success. Yes, they had plenty of food and rifles, but they were not ready in terms of advanced equipment and military doctrine. Fighting had been raging for more than three years, and yet the American generals, from commander John J. Pershing on down, had not really absorbed the lessons of, yes, the machine gun and rapid-fire artillery. 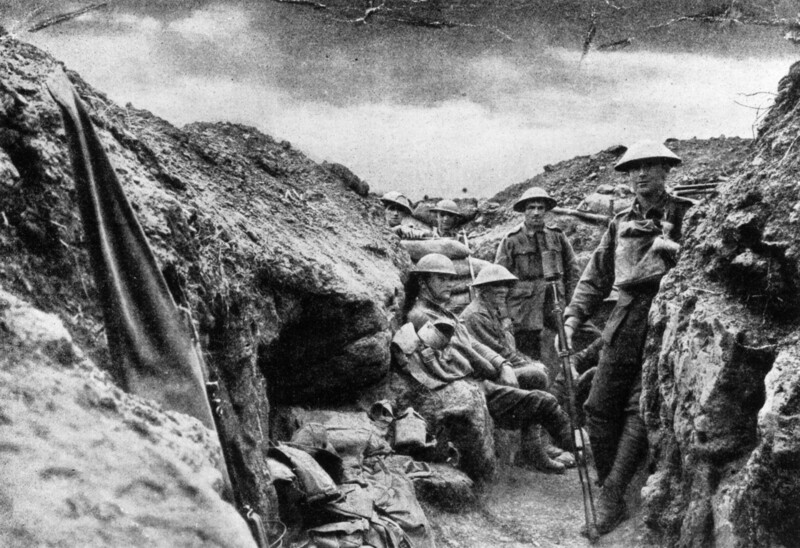 So we went into battle just as the French had in 1914—overconfident and under-prepared. American casualties, as a result, were far heavier than they had to be. 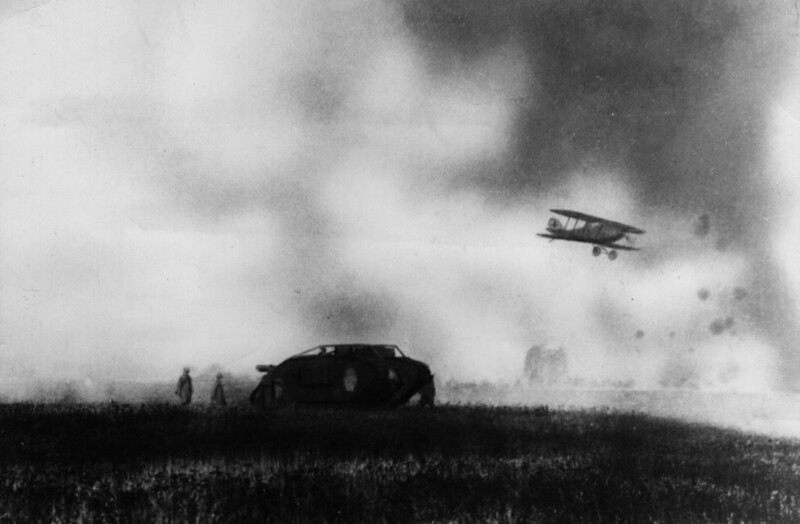 And so we come to the two most important weapons to emerge from World War I: the tank and the airplane. And thereby hangs a particularly disturbing tale of American unreadiness. 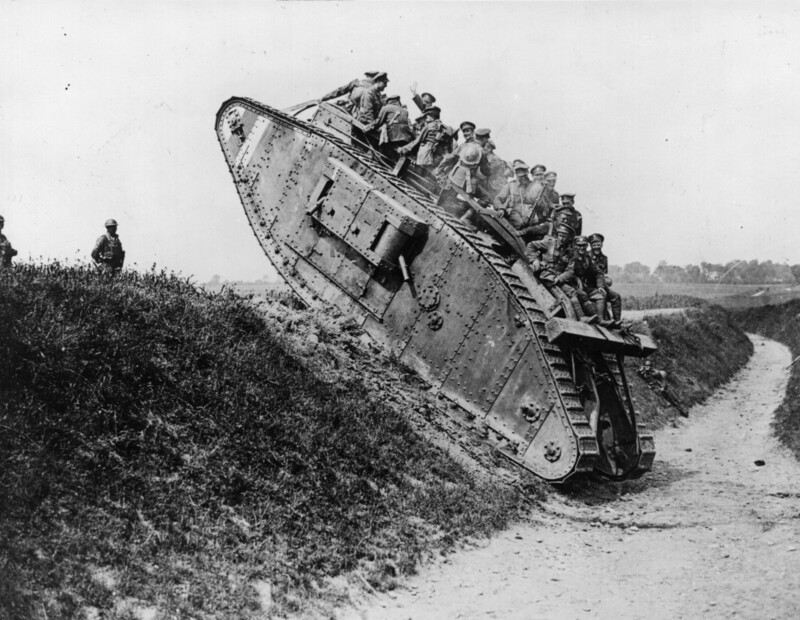 Frustrated by the stalemate of trench warfare, the British had been experimenting with “land dreadnoughts” as early as 1915. 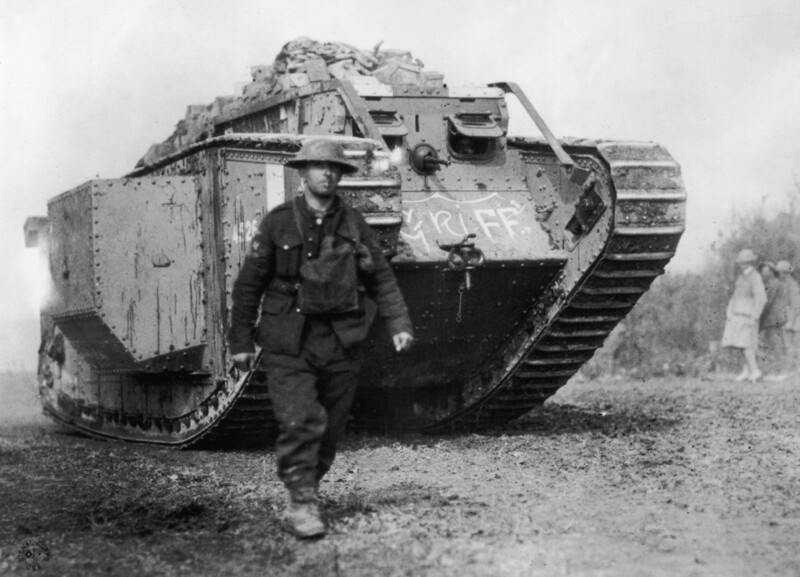 Tanks were, in fact, a genius solution to the stalemate, and they ultimately helped make the breakthroughs that enabled the Allies to win the war. And yet here’s the thing: The Americans never produced a single tank that fought in the war. Even after the British started deploying them on the battlefield, American military planners just sat there, watching, from afar, with incomprehension. And this dithering is all the more remarkable since the U.S. was home to the Ford Motor Company, which had pioneered the assembly line. In fact, in 1916, the last peacetime year for the U.S., Henry Ford and his automotive rivals had built 1.3 million cars. So we had the productive capacity to make tanks, we just didn’t have the vision. To be sure, some Americans did grasp the importance of the tank, including Captain (later Major) George S. Patton. But during the war, Patton and his fellow tankers had to fight in French and British tanks. 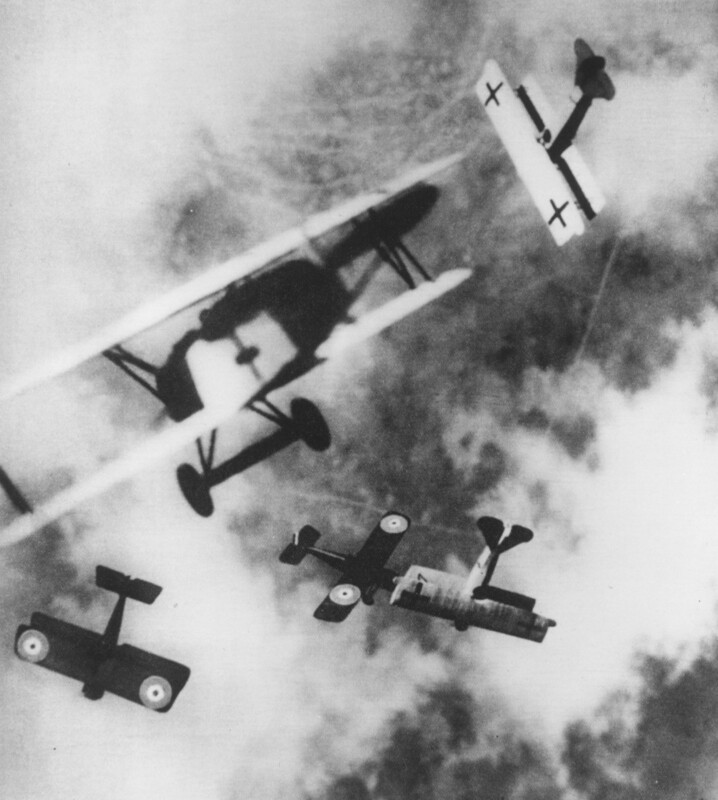 A similarly infuriating tale can be told about American aviation in the war. 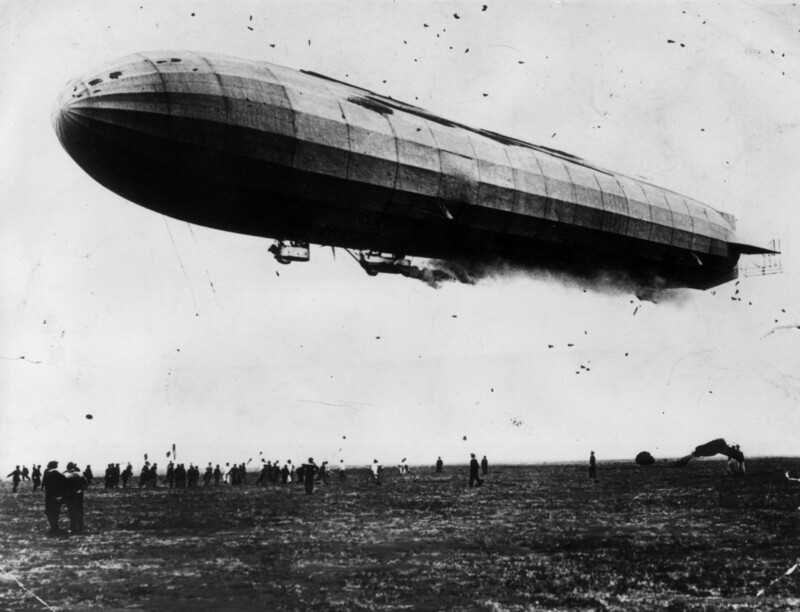 The airplane had, of course, been invented in the U.S., and the Army did use airplanes for its Signal Corps. And yet once again, top commanders were obtuse about the need for American-made combat aircraft. 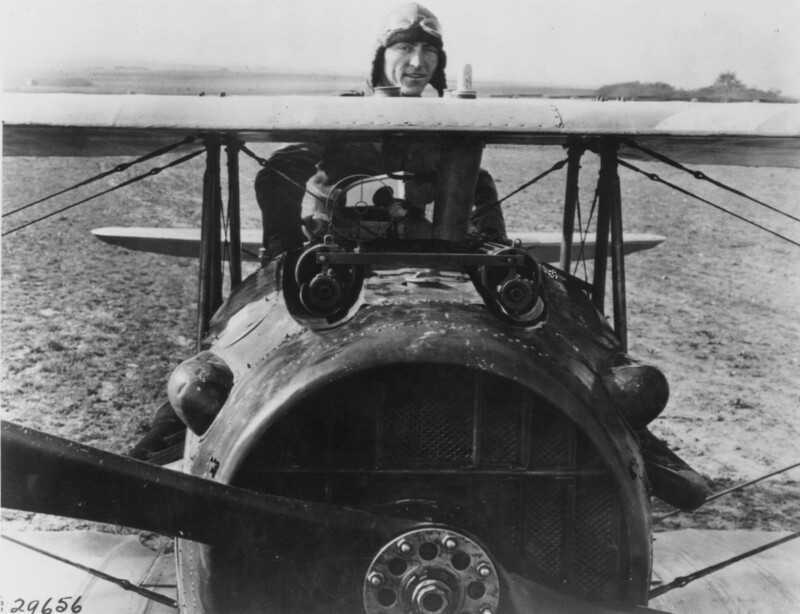 And so during the war, American fighter ace Eddie Rickenbacker flew the French-made Nieuport 28, while other Americans pilots flew another French make, the SPAD S.VII. So what went wrong? How could the U.S., boasting the largest economy in the world, let itself be flummoxed on the basics of military production? Well, that’s a good question; perhaps the biggest single reason is that the Wilson administration chose to run war production with a series of boards and administrations; the result was a bureaucratic mess. Of course, in the end, Uncle Sam prevailed. 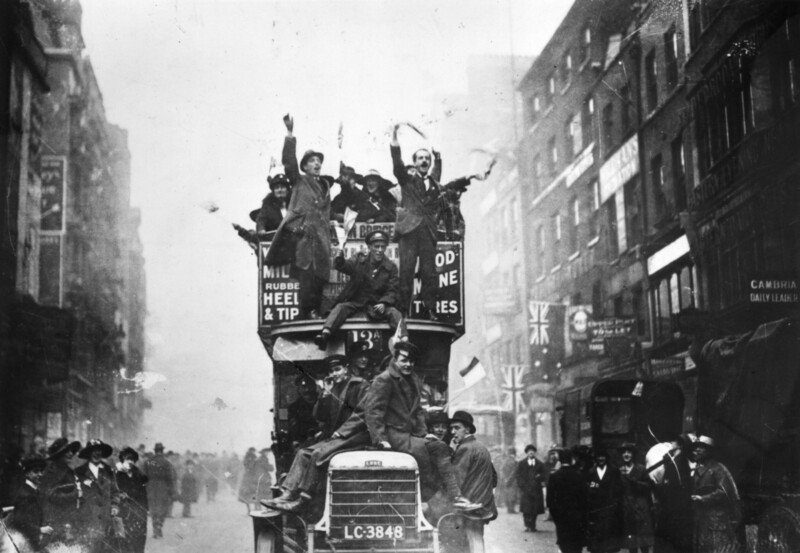 The Germans were exhausted, and our forces, despite their homefront handicaps, fought well. In fact, it can even be said that there was a silver lining to U.S. underperformance in World War I. Two decades later, when World War II was brewing, American war leaders, military and civilian alike, were determined to do better. Indeed, American war production in the Second World War was the envy of the world; most obviously, we built 108,000 tanks—a lot more than the zero of the previous war—which Patton and his fellow commanders used most effectively. 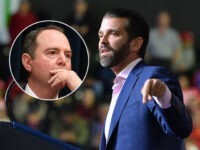 So to what should we attribute this enormous success—in such sharp contrast to the dismal precedent of just two decades earlier? One answer is detailed by the historian Arthur Herman in his 2012 book, Freedom’s Forge: How American Business Produced Victory in World War II. In contrast to the Wilson administration’s emphasis on bureaucratic committees, the Roosevelt administration appointed a series of no-nonsense “czars” to oversee production. Of course, in contrast to World War I, nobody dares say that World War II was “futile” or “unnecessary.” By 1941, when the U.S. entered the war, it was obvious that Hitler and his ilk were so evil, and so threatening, that we had no choice other than to fight. Fortunately, once we did start fighting, we were ready. But of course, hope is never enough in world affairs. So we must always be prepared for war. As the ancient Roman Vegetius knew, preparation for war is the best preparation for peace. We can pray that all wars we fight are necessary wars, but we must prepare, too, so that we can win them all.